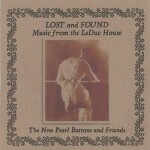 The New Pearl Buttons and Dakota County Historical Society are pleased to announce that the new recording: Lost and Found: Music from the LeDuc House has been completed and is available for $15 plus $3.50 shipping. The recording may be purchased directly from Sherry Ladig at the contact form on her website, or through the Historic LeDuc Estate Gift Shop and Dakota County Historical Society, Lawshe Center. This recording is the culmination of two years’ research by Saint Paul-based Sherry Ladig, music historian, performer and arranger for The New Pearl Buttons (an American 19th century band) and other groups. 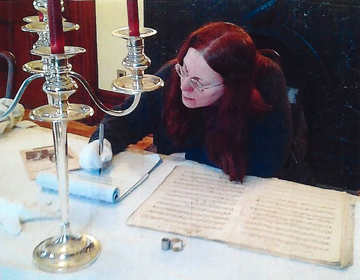 Sherry Ladig spent two years researching the music at the LeDuc House in Hastings, as well as LeDuc family letters, diaries and manuscripts in the the Minnesota History Center Library. She then selected the best of the best for this entertaining and historical collection, including two original songs by William LeDuc himself, never before heard outside of the family parlor over a hundred years ago! For further information on this project and the recording: contact Sherry Ladig at 651-644-4779; also available at the LeDuc Estate Gift Shop (651-437-7055; 1629 Vermillion St., Hastings), or at Dakota County Historical Society, Lawshe Memorial Building, 130 Third Avenue No., So. St. Paul (651-552-7548). Mail orders accepted by phone at LeDuc Gift Shop and Lawshe Memorial Building, or directly from Sherry Ladig. Read the article published by the Pioneer Press: Hastings concert brings to life music, poetry from past.